The newest trends in private aviation are being supported by NASA and DARPA, which is the Defense Advanced Research Projects Agency. NASA needs no introduction, but to give you a clearer view on what DARPA does, know that they’re the brains behind a recently released self-driving drone ship and consolidated software platform for American military hackers. In other words, they’re the United States Government’s coolest entities. For one plane, the agencies are coming together with Lockheed Martin and creating the X-jet, a business-sized jet aircraft with a one-two punch: it burns low-carbon bio-fuels while quietly breaking the sound barrier at mach 1-plus. The overall goal is to develop energy-saving, supersonic technologies that even commercial aircraft manufacturers will incorporate into their builds. 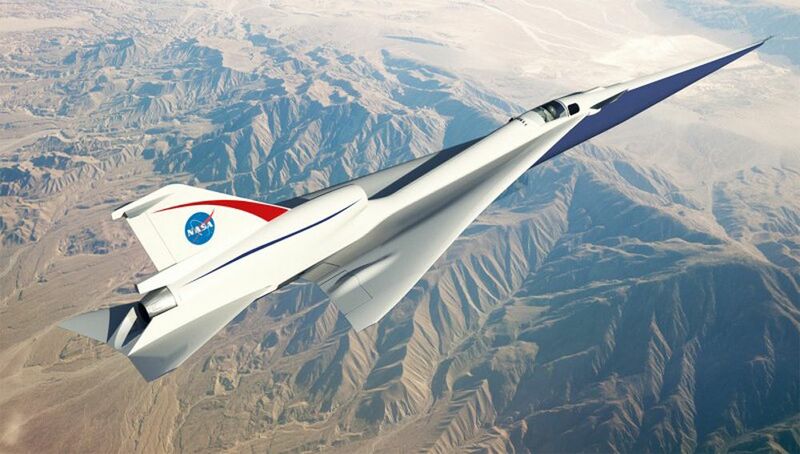 NASA’s new X-jets could start flying as soon as 2020, depending on whether or not funding comes through. Another jet prototype project includes Airbus and Aerion, who are focusing on private jets and building a 12-seat mach 1.5 plane that will complete transoceanic routes. DARPA’s X-plane may be flying as soon as 2018 and at speeds as fast as 460 miles per hour. In the startup space, Boom, which is headquartered in Denver, Colorado is trying to be first-to-market with a supersonic jet that flies faster than the now-grounded Concorde, but for standard commercial business class prices. The company is partnering with Virgin, who agreed to buy 10 of the planes in an effort to restore the abandoned Concorde New York-London route.